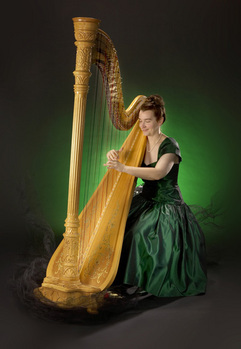 Harp repertoire can range anywhere from Bach to the Beatles. The nature of the instrument lends itself to a wide range of versatility in terms of repertoire and styles of music. Adrienne seeks to provide a variety of musical genres including classical, pop, contemporary and celtic. Listed below are some selections that work nicely on the harp. This list is not comprehensive. Any song with a melody will work nicely.